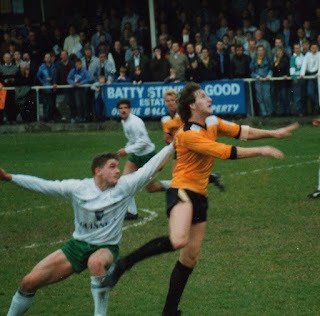 Graham Westley is the current Manager at Newport taking over from Warren Feeney just last week – so we meet again Graham, “Destiny Will Always Take Over” you once said! 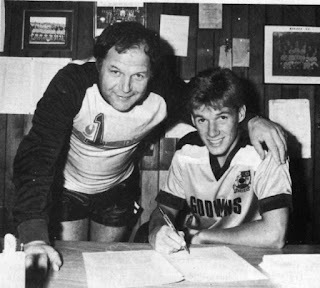 Striker Graham was a Bee signed by Barry Fry for 3 games in 1987 and had a playing career mainly in the Non League notably for Enfailed, Wycombe, Kingstonian and Harrow Borough. He was only 28 when he first managed at Kingstonian, had three spells at Stevenage as well as Enfailed, Farnborough, Rushton and Diamonds, Peterborough and Preston NE. These directions courtesy of NCFC. Exit M4 at Junction 25. Take first exit from roundabout (Heidenheim Way). Take 1st exit from flyover. Take 2nd exit from next roundabout. At next roundabout turn left over River Usk and at the traffic lights bear right into Chepstow Road. Turn right into Corporation Road and then left into Grafton Road -Rodney Parade will be on your left. The town centre is only a 15 minute walk away where numerous pay and displays can be found. The local streets are restricted although those arriving early will be able to find spaces. A Train from London Paddington will take around 2 ½ hours. Newport Station is a short walk away from the stadium via Queensway Road and the Bridge over the river into Rodney Parade. Getting back via this route on the same evening will be virtually impossible however. General consensus is the Lamb on Bridge Street to be the best bet for a good pint and bar food. The Queens Hotel is near to the station and is a Wetherspoon outlet. However the away bar in the Bisley away stand is excellent and will offer all you will really need pre match. 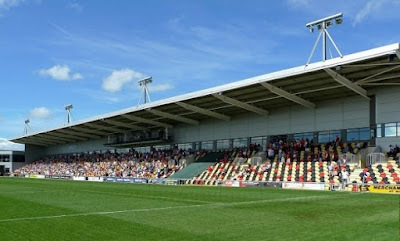 The club moved to Rodney Parade in 2012 which is on the East bank of the River Usk. The Bisley Stand on one side, built in 2011, seats just over 2,500 and has a row of executive boxes. Opposite is the Hazell Stand which has seating and a small terrace in front. To the right is the Town End which is a home fans stronghold Terrace, to the right is the South Stand, which is a mall temporary stand of seating. To its left is the pyramid shaped dressing rooms where the players come onto the pitch. You can see that the ground was designed for Rugby with large spaces behind each goal. The ground is shared with The Newport Dragons Rugby Club. Our home for the day will be section of segregated seating in the Bisley Stand. The game started in September of this season was postponed at half time due to a waterlogged pitch with the Bees leading 1-0 through John Akinde. Our visit in March 2016 saw the Bees win comfortably 3-0 with goals from Andy Yiadom, Mark Randall and that man again John Akinde. The return at Underhill in the New Year finished 4-1. County's records were expunged in the February and the Bees lost 6 points and a serious goal difference. John Still's Maidstone United won the title by a country mile anyway, but we won the Club Call Cup! 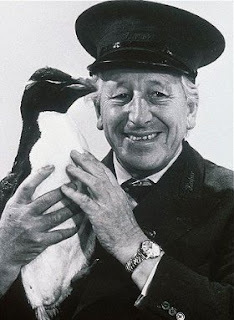 One of my Boyhood heroes Johnny Morris was born here – he fronted the TV show Animal Magic and narrated Tales of the River Bank. Bafta winning actor Michael Sheen is also from these parts. 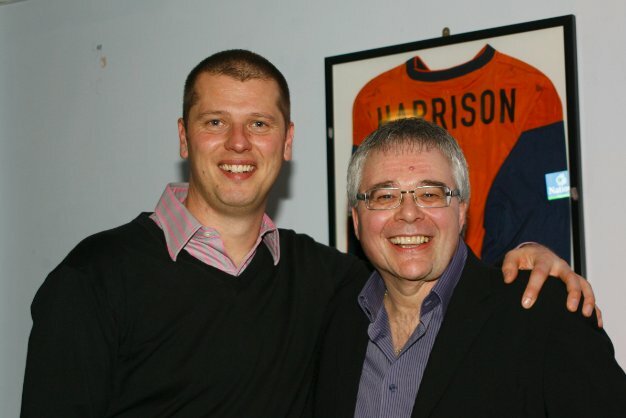 “Two of our own” Lee Harrison and Ismail Yakubu have both been associated with Newport County. Lee lived there for a year when he was Caretaker Manager in 2011, while Ismail made close to 150 appearances before moving to Woking.